Credit Cards to Adapt or Die? Are credit cards poised to evolve? There are various versions of the history of credit cards. Some say they first appeared in the 1920s, while others date them from 1946. Yet more reckon they started for real in 1950, with the launch of Diner's Club. But it was probably in the 1970s that they went from being the preserve of a tiny elite into something that was widely available to pretty much everyone. And, in that decade, they were marketed as a useful budgeting tool that could help consumers smooth out their cash flows and better manage their money. Wow! How things have changed. Today, some consumers see credit cards as almost Satanic in their powers of temptation: "Throw yourself down from this financial pinnacle," they seem to imagine card issuers saying, "and you will be saved -- though that last bit will be a miracle if it happens." And yet those same respondents said on average they used their debit cards more frequently each month. What's happening, according to ACG's report, is that many consumers are using debit cards for day-to-day purchases (in supermarkets and at gas stations) and reserving their credit cards for a smaller number of major purchases. When this writer spoke by telephone with Scott Strumello of ACG, the researcher raised the question that must trouble many marketing executives in credit card companies: "What is it about credit cards today that is turning certain groups of consumers off, so they're not using them for everyday spending to collect miles and other rewards?" And he went on to answer his own question: The term "credit card" has a lot of baggage with it. People seem to distrust credit cards, even at the same time as recognizing their superiority as a payment method. You have to wonder whether it's actually themselves they distrust. It's a bit like the gun lobby's mantra about guns not killing people: Credit cards don't harm people -- people harm people. The trouble is, plastic can do certain types of people serious harm. And, just like with guns, it's often the individuals who shouldn't be allowed near one who are most attracted to them. What's odd is that so many people who have proved to themselves that they're good money managers still seem to deny themselves the tangible benefits of using rewards credit cards for more of their routine purchases. If you know you're a self-disciplined, responsible individual, why not earn miles, points and cash back when you buy groceries or fill up with gas? The chances of launching yourself on some slippery slope that can only end in extreme poverty seem slim indeed. As IndexCreditCards.com has previously discussed, it's young people who seem to distrust cards (or maybe themselves) the most. When asked about this, Strumello recognized the issue, and said that ACG's research bore it out, finding that younger consumers are more likely to reach for a debit card first. Yet he says that, when he speaks to some executives in credit card companies, they seem fairly unconcerned about this, assuming that Generation Yers (born between 1981 and 1994) will grow into card use as they get older. That complacency could cost them in the end. Youngsters who may have seen their parents struggle with debt during the Great Recession, and who've endured years of hardship as a result of student loans, may well not suddenly experience a change of heart regarding credit in their 30s or 40s. ACG sees a possible need for more radical reforms of the credit card market if current usage levels are to be maintained or increased. Its latest study found that 37 percent of respondents thought debit cards did a good job of helping them manage their finances, while only 26 percent said credit cards did the same. Innovations that could address these perceptions might include the introduction of more charge cards (or "deferred debit" products), where the balance at the end of each billing cycle must be paid off. ACG even proposes a more advanced variation, which would see the available balance on consumers' checking accounts automatically lowered with each credit card authorization, thus ensuring the card account can be fully paid each month. 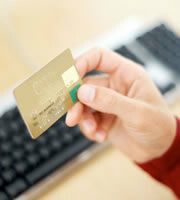 Though how that materially differs from an existing debit card is not explained. What does seem certain is that issuers must recognize that their market, which has changed so much over the last four decades, is continuing to evolve. Their biggest challenge now is to persuade customers who are good money managers that it's safe for them to enjoy the undoubted benefits of credit card use across all purchases. 0 Responses to "Are credit cards poised to evolve?"